Are you a Business Hippie? In case you work with or lead digital or content marketing, communications or social media, you are one of our Business Hippies! PING Helsinki offers the marketing professionals the newest information and the best connections for making and developing successful content and influencer marketing. Are you a blogger, youtuber, instagrammer, snapchatter or other digital influencer? If so, PING Helsinki Business Festival is definitely your place to be! Here all the makers of content marketing meet each other and potential collaborators in a fun and relaxed atmosphere. 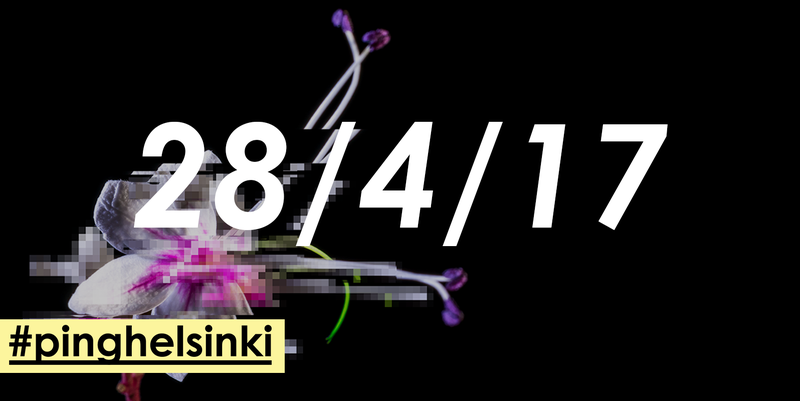 Aside from learning and networking, PING Helsinki Business Festival offers the famous best party of the year! Content Guru Application opens on January 1st, 2017. PING Helsinki Business Festival brings the sharpest visionaries of content and influencer marketing to the heart of Helsinki. The program consists of luminous keynote speakers, interactive workshops, surprises and a party you don’t want to miss! All program is based on five themes: future, impact, responsibility, creativity and sweet spot. Part of the program of PING Helsinki Business Festival is in English. Network spontaneously or make an appointment! In addition to inspiring and interactive program, there is plenty of time reserved in PING Helsinki Business Festival for the most important: encounters. Once registered, you will be able to see participant lists in advance and book meetings with the most interesting ones through Brella Meeting Service. You can also have informal spontaneous networking all through the day in forms of breaks, meals, workshops and other mutual activities. PING Helsinki Business Festival is without a doubt the most interesting influencer marketing event of the year! Book your ticket right away!